Irish bookmakers Paddy Power have announced 14 new betting markets for the fast approaching WSOP. With 8,000 players, from a variety of nations, taking part Paddy Power have created some very interesting markets to appeal to sportsbook punters. Regular Poker News readers will already be aware of some of the WSOP betting markets now popping up on-line. Over on our Sportsbook pages we recently took a look at some of the Bet 365 WSOP betting markets. 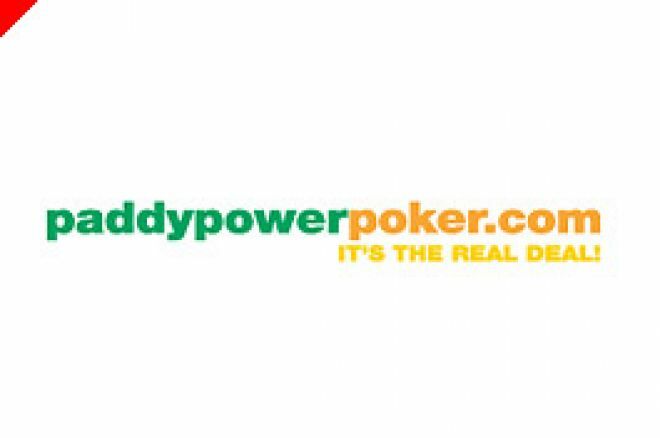 Now our friends at Paddy Power Poker are joining in the fun. Upon the launch of these markets Paddy Power's head of commuincations said, "The appetite for betting on the WSOP main event is huge and we’re offering a broader selection of players and wider selection of markets than any other bookie. Our “On the 7th day God created Poker” special is a great get out of jail free card for punters especially when so many big names are likely to fall at the final hurdle as the less experienced internet players begin to sniff glory”. Paddy Power now have a total of 17 live markets including players to make the final table and group betting. With a promise of more WSOP markets to follow in the coming weeks, Paddy Power is THE place for WSOP betting. Ed note: Download Paddy Power Poker today and select from a $20, $50 or $101 deposit bonus.